The OOMI Cube is a compact multi sensor hub that comes with an IR blaster, noise detector, uv sensor, humidity sensor, temperature sensor, light sensor, night vision IR, vibration sensor, camera and motion detector. This system comes with a 7 inch display so you can control everything in your house with simple widgets or voice control. With tap and touch technology, you can add new devices to your home network by simply tapping the control unit against each OOMI device you wish to control. Control your TV, lights, door locks, room temperature and more all from one central controller. The smart features are capable of monitoring how you live, identifying patterns from real data points and adjusting to your unique lifestyle. This is one of the most advanced door locks on the market today. You can remotely lock and unlock entry points and see who is at your door via the built in camera and smart phone application. Visitors can call you through your door, leave a message or request entry and you can let them in with the push of a button. The Nucli connects to wifi, z-wave and blue tooth compatible devices. It also has fingerprint and pass code entry capabilities so you never have to worry about loosing your keys again. You can program up to 50 different authorized users and keep an eye on everyone who enters and exits your home with ease. This is truly a revolutionary device that is capable of saving time, money and water resources. Where traditional irrigation systems tend to waste up to 50% of the water used, this system uses moisture sensors and your local weather forecast to send real time data to your irrigation system controller. This way you can optimize water usage and only water your plants when they need it. 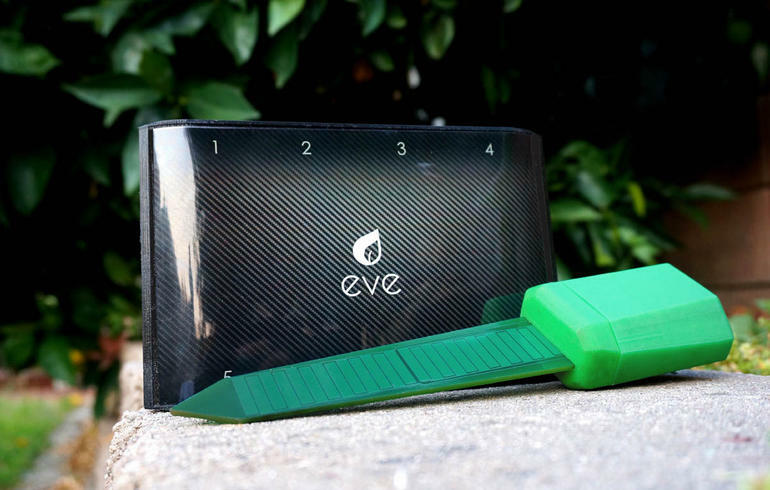 Eve uses a simple mobile application to program watering schedules and communicates wirelessly over wifi with moister and temperature sensors that can be placed in various zones throughout your yard. If you are looking for a smart irrigation system for your home be sure to pick up this outstanding product. This is not your everyday wireless router, it’s the worlds first touch screen router that can be entirely setup without the use of a computer or external software. The router can be used as a primary router, a range extender or wireless bridge for your network. Because of the simple design, this is one of the most user friendly routers on the market today. 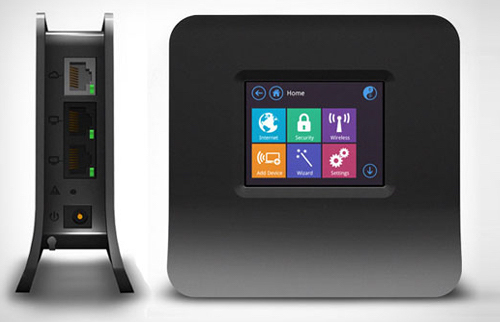 Almond Plus is a new wireless AC router built on similar framework as the original design. Designed to be table or wall mounted, it has an integrated smart home hub, gigabit ethernet and dual band wireless AC capable of transmitting data up to 4 times faster than a typical wireless N router. Almond Plus can provide dual band coverage up to a 5000 square foot home and is perfect for simultaneous online gaming and hd video streaming. This security system was designed to monitor your home from anywhere with simplicity. The system consists of a central control unit, door and window sensors, cameras, motion sensors, smart smoke detector and alarm triggers. These sensors run on batteries and can be placed throughout the home using the supplied two sided tape for simple installation. When a sensor is triggered, the system can immediately send an alert to your smart phone so you can take action if necessary. 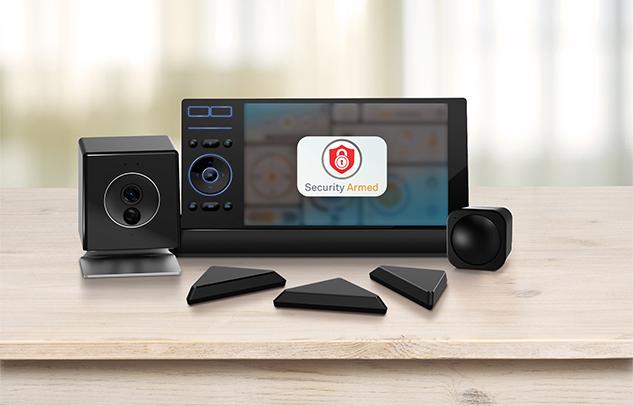 Home security has never been so simple, stylish and affordable.